Steph Houghton and Jordan Nobbs have given Phil Neville a boost with their recall to the England squad for the resumption of FIFA Women’s World Cup qualifying next week. Our @FIFAWWC qualifiers squad announcement is here! ? Houghton and Nobbs, of Manchester City and Arsenal respectively, are back in the fold after each missed the SheBelieves Cup in the United States earlier this month through injury. Reading’s Mary Earps and Arsenal’s Beth Mead are also notable additions to the squad. 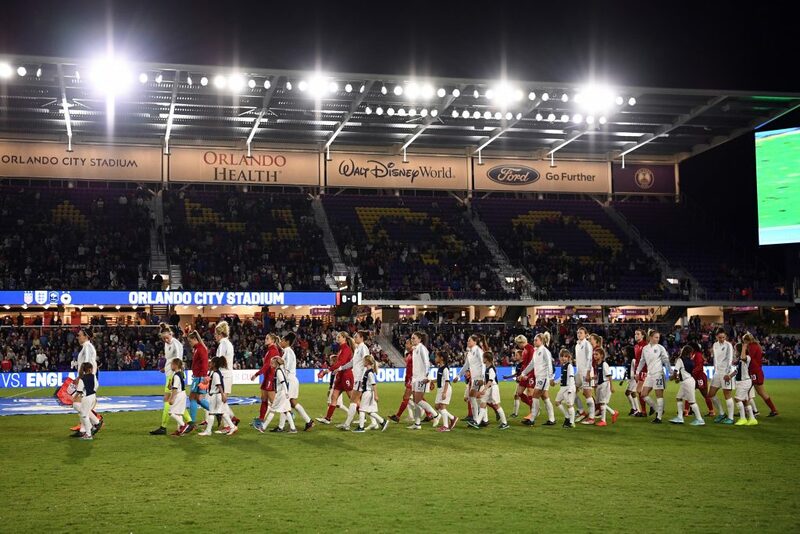 England’s best-ever performance at the SheBelieves Cup has seen them move up to second in the world – just behind the US team who narrowly beat them 1-0 in the final game but ahead of UEFA rivals Germany. England will welcome Wales to Southampton FC’s St. Mary’s Stadium on Friday 6 April, for their first fixture at the Premier League ground since 2006. Wales top qualifying Group 1 with ten points from four games, a point ahead of England having played a game more. The match will be followed by a trip to meet Bosnia and Herzegovina on Tuesday 10 April and two positive results would mean a big step towards qualifying for the 2019 finals in France. Speaking for the first time since the US trip, Neville said: “I am really pleased for the players that their hard work has been recognised in the new rankings. To get to second in the world is a wonderful achievement, but if we want to take the last – and biggest – step to become No1 then we have to deliver in matches like the two we have coming up. Because of what’s at stake, they are more important than the SheBelieves and we will prepare accordingly. “Wales will be my first competitive match in charge and it will be an incredible honour to walk out at a packed Premier League ground with this group of players. I have been so impressed at how they have reacted to what I and the coaches have asked of them in everything we do on and off the field. 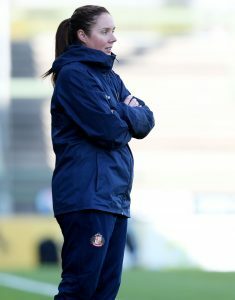 Casey Stoney will continue her key support role as part of The FA’s player-to-coach scheme while Neville has also asked Sunderland coach Melanie Copeland to assist him with this camp. With Mo Marley, who travelled to the SheBelieves Cup, focusing on the U20s’ own World Cup this summer, Neville is keen to keep providing opportunities within the women’s game. He added: “I am delighted to have Mel coming with us for the next camp. I have said I want to give more elite international experience to the talented coaches we have in this country. Tickets for the Wales match at St. Mary’ Stadium, Southampton are on sale. Children and concessions tickets are just £1 and group booking and Charter Standard discounts apply.